Should you take time to look through the courses offered in universities, you will now notice an added curriculum to design and arts. 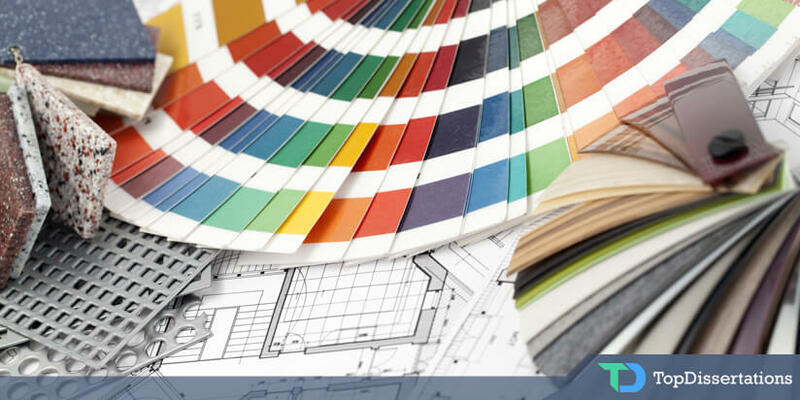 Some courses would include an AB in advertising, an AB in interior design, and other related courses. What was once a talent which for some, are handed down in the family, to some, inherent, is now taught. Professors believe this is course that enhances what some students already have, and yet channeling these talent to the right path, creating a bigger opportunity for the students to improve themselves. Before one can accomplish and attain a degree is this design course, though, you need to submit a dissertation, and here comes the part where talent and inherent gift would not only be tested with what you accomplish, but having to learn how to put into words and study, for others to learn from, to come up with a material that is worth sharing to all to learn from. Ultimately, what should you need to know in creating a design dissertation that is worth your time, effort, and at length, publishing? What would your dissertation aim to achieve? Creating a question that is both significant yet uncomplicated and undemanding to answer your raised objectives are considered good motivating issues on how to begin your dissertation, which in turn will be part of your schedule, that is, in selecting the right topic. Establishing a question will help clear the path in achieving the answers. Having this in mind will help you out, as the writer, to accomplish and completing your goal. Make sure you come up with relevant questions that are related and associated to the objectives of your dissertation. They have to be compelling, and most of all, something that would impact the field of design. Questions need not be single nor focused. A list of questions in the offing is feasible, as long as they are related to one another, and would even make your design dissertation quite easier to progress and develop, in terms of coming up with the related methods in reaching a solution. Your methodology should be able to help in giving the solution to the raised questions, providing the answers, but not directly presenting it, instead, demonstrates these answers by way of giving an analysis from the data derived. Finally, although your design dissertation is quite different from the MSc dissertation, or other social sciences dissertation, what is similar in all dissertation is the process of creating a document that would not only enhance your skills as a student, a writer and a tutor, of sorts, but improve your skills in this chosen field by allowing all your talent to overflow. Writing, creativity and displaying your ideas to share is another chance for you to show what you can contribute to this field you have chosen to be in. Suggested activities to be able to result to a specified topic would include efficient and operational interaction, as well as the exchange of ideas between you, as the writer, and your advisor. Getting his/her feedback on probable objectives will help pave your way to creating a design dissertation that is significant and most appropriate to your field of study. Perfect literature review, on the other hand, as the other suggested activity, would cover the key materials that are related to research questions.